I also can't help laughing every time Ki-tae looks up and instantly deflates when Se Ah enters a room, and she just kind of comes in with that sort of half resigned, hey whaddaya gonna do look - I swear that must have happened like ten times by now! 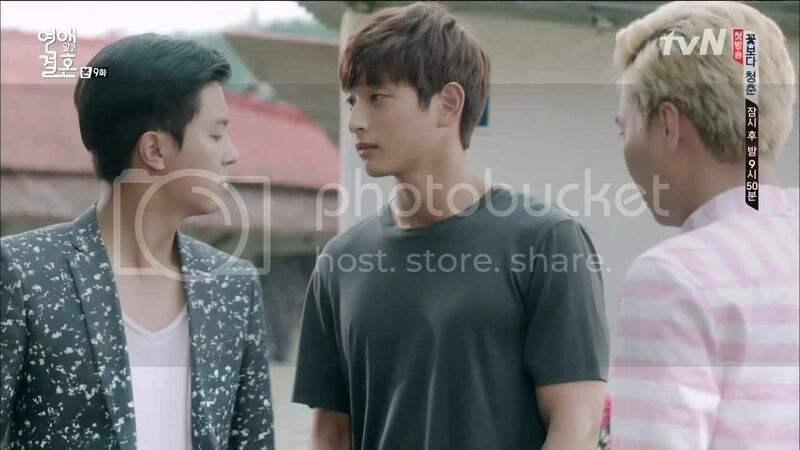 So frustrating when I actually loved his bromance with Ki-tae and his friendship with both the leads. As for hang in out with his ex. The theme is evolving nicely, isn't it? It's wonderful to see the effects of last episode lasting and for him to make sure that she's being honest about what she wants. While Se ah went in with a sledgehammer, Jang mi went in with sincere kind words and got better results. With you both there!! I'm expecting a lot more cuteness frm them tomorrow,and pls writer no more misunderstanding btwn them or their families. On TV, that's what people always resort to when they're desperate for money. Would you happen to recognise the song at Omg, thank you for writing this. An object with a lot of mass goes forward and wants to keep going forward; however, the gravity of another body in space pulls it in. I agree that there is more than meets the eye.